Check out Tobi's Jeannette Studded Faux Suede A-Line Skirt Obsessed with studs? You're going to swoon over the Jeannette Studded Faux Suede Camel A-Line Skirt. 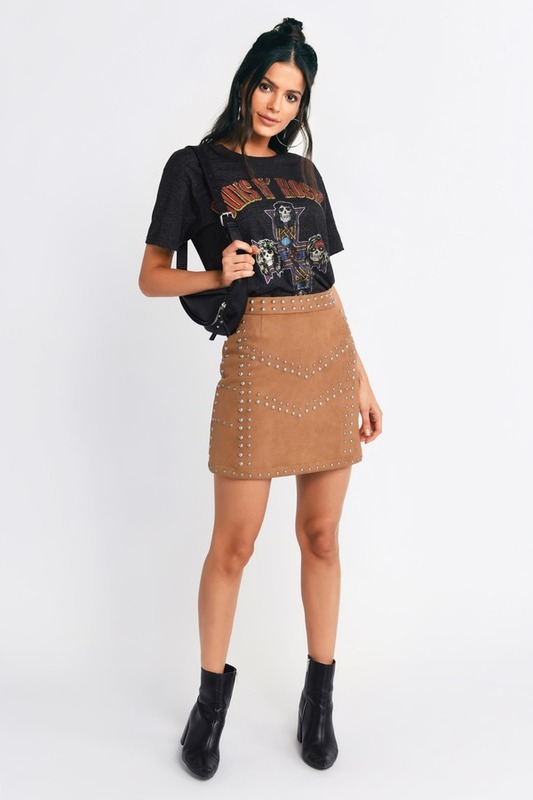 For some added edge, wear this skirt with a moto jacket for an unforgettable concert 'fit. 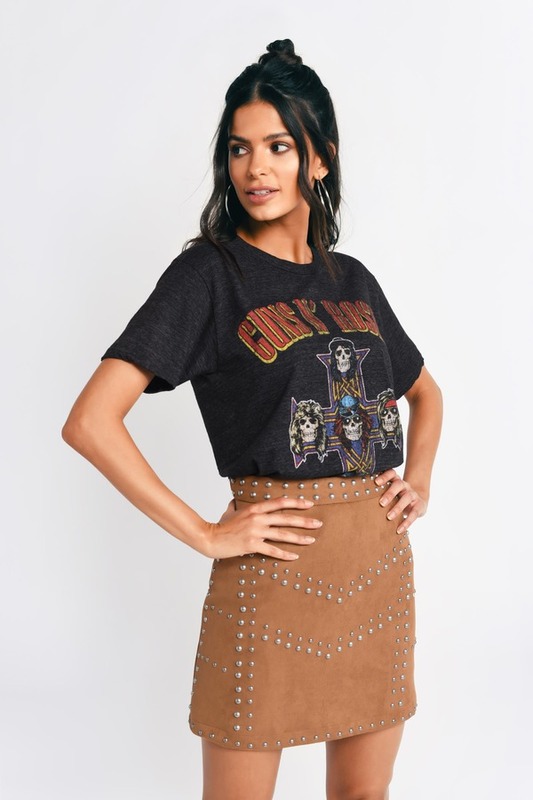 Featuring a high waisted fit and studs on the front and back, add this trendy faux suede skirt to your studded collection! Obsessed with studs? You're going to swoon over the Jeannette Studded Faux Suede Camel A-Line Skirt. For some added edge, wear this skirt with a moto jacket for an unforgettable concert 'fit. Featuring a high waisted fit and studs on the front and back, add this trendy faux suede skirt to your studded collection! Obsessed with studs? You're going to swoon over the Jeannette Studded Faux Suede Olive A-Line Skirt. For some added edge, wear this skirt with a moto jacket for an unforgettable concert 'fit. Featuring a high waisted fit and studs on the front and back, add this trendy faux suede skirt to your studded collection!